here is a picture of a cat size Rodent found in Haiti. 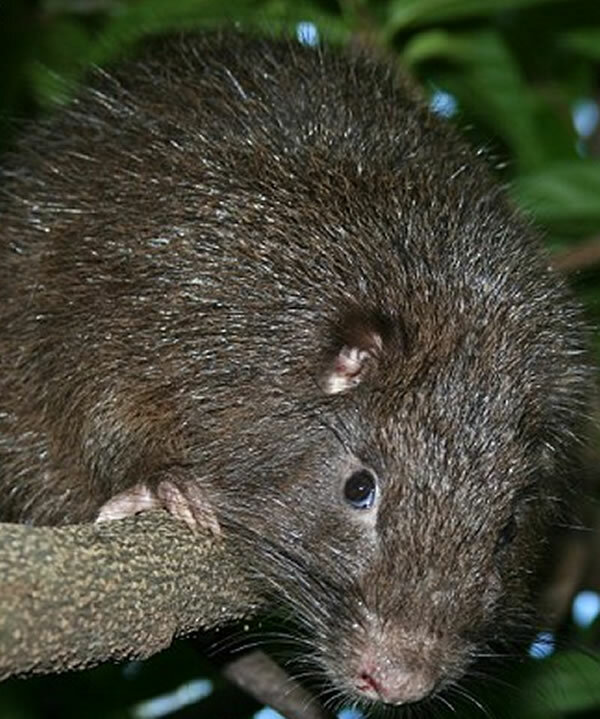 It was named afterJames Bond's hutia or Plagiodontia aedium bondi. A newly-discovered rodent has been found on the island of Hispaniola by a team of scientists led by the Zoological Society of London and it has been named James Bond's 'hutia'. It's the size of a cat and looks like an oversized guinea pig, but has managed to avoid detection until now. It weighs more than a kilogram, and has soft-brown fur and a short tail. The scientific classification of this species is "Plagiodontia aedium bondi"; it is a part of a unique Caribbean mammal family that once numbered more than 30 species. As per the description of journal Zootaxa, this guinea-pig-like creature belongs to an ancient group of rodents called hutias. James Bond was a Caribbean based ornithologist who is said to have been the inspiration of Ian Fleming's famous fictional spy character. He carried out years of research into the area. He identified an area (now called Bond's Line) that marks the home of hutia and its closest relatives. Sadly, these rodents are considered endangered and their continued survival on the island hangs in the balance as most of their habitat has been destroyed by Man.